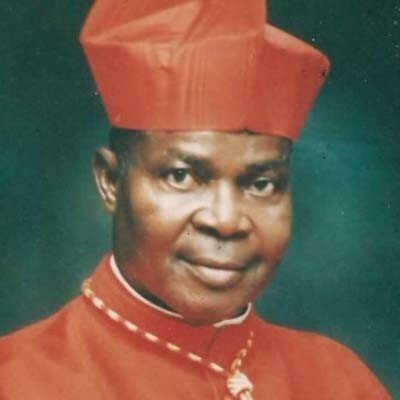 The Catholic Archbishop Emeritus of Lagos Anthony Cardinal Olubunmi Okogie has raised alarm over the challenges faced by Nigeria currently - Okogie said the Nigerian Constitution is faulty and seeks to protect the elites and the politicians - He also said the waves of insecurity, activities of herdsmen, militants in the Niger-Delta and the agitation for Biafra, is a result of a faulty constitution, corruption and lack of accountability from leaders. “It has been said many times in the past, and it is still being said: life and property are not safe in our country. But their protection is the primary responsibility of the state. "The state is made up of institutions. Institutions are established directly or indirectly by the Constitution, directly if explicitly provided for in the Constitution, indirectly if established in a manner that conforms with the Constitution," Okogie said. Okogie said the Nigerian Constitution is faulty and seeks to protect the elites and the politicians. He said through such institutions, the government is mandated to fulfill its primary responsibility of protecting citizens' lives and property. “The Constitution that establishes these institutions is a set of fundamental norms for the regulation of the life of an association that a nation is. When it is truly legitimate, such a Constitution is not imposed. It is freely adopted by the people. Its adoption is informed as a sign that their membership of the association is consensual. Adding that most of the security agencies in Nigerian were established to protect political actors. Okogie said the nation needs to go back to the drawing board to establish a workable Constitution for the Nigerian state. "They were established and are operated to protect political actors. Now, if the state does not protect us can we truly say we have a nation? “Nigeria has broken down and is not working. She was not well set up by British colonialists. She was further incapacitated by a succession of unprincipled politicians and lawless soldiers. That is why we are not safe. That is why we need to go back to the drawing board. We cannot validly claim that we are a nation. We urgently need to set to work to build one, and it is in our interest to do so," Okogie noted. He said: "We must assume the task of building a nation on the basis of the right relationship among Nigeria’s diverse ethnic and religious communities. “We need a new Constitution establishing a new political arrangement, and this new political arrangement must serve the people, not the politicians at the expense of the people. When a government is at the service of the people, and when each citizen seeks his or her own good by working for the common good, then we can truly say we have a nation, a nation we can proudly call our own," the Archbishop said.